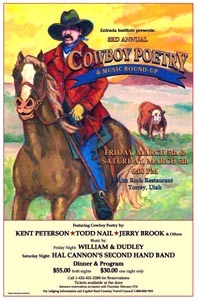 The Cowboy Poetry and Music Festival is taking a break in 2018. 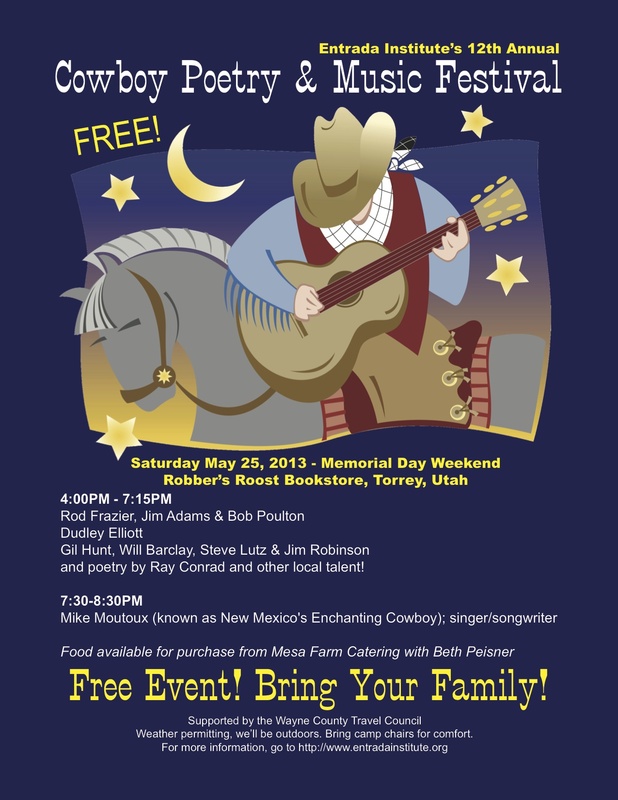 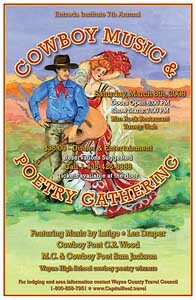 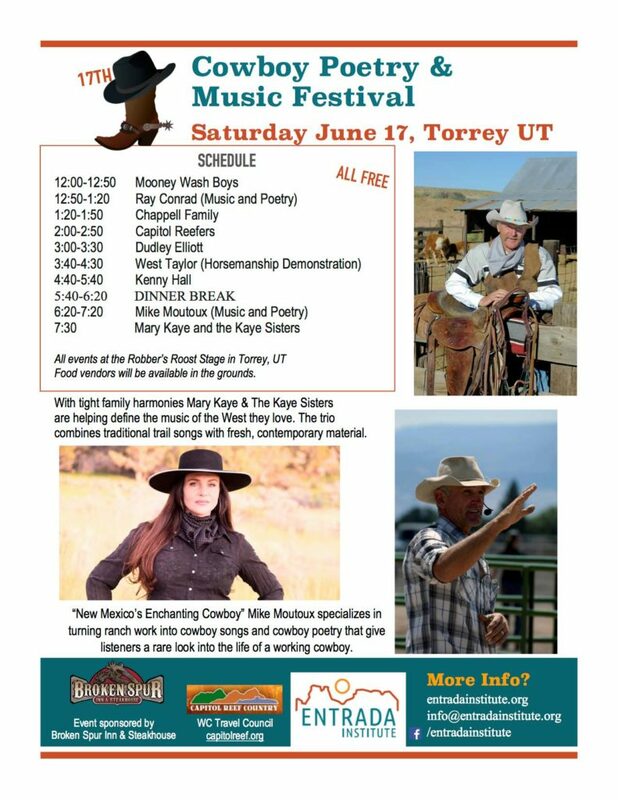 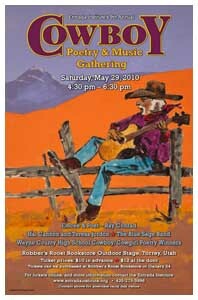 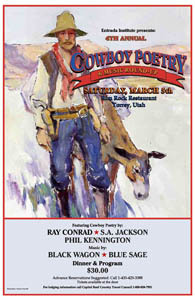 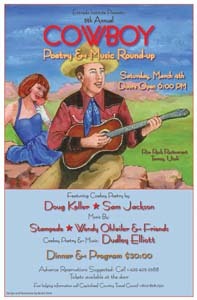 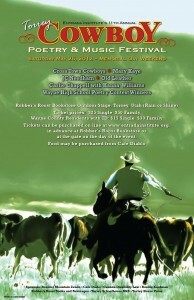 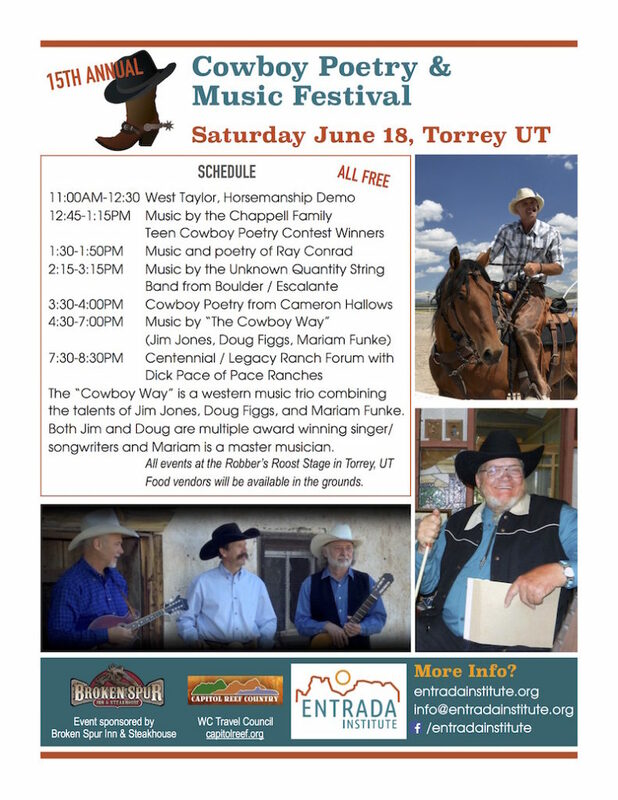 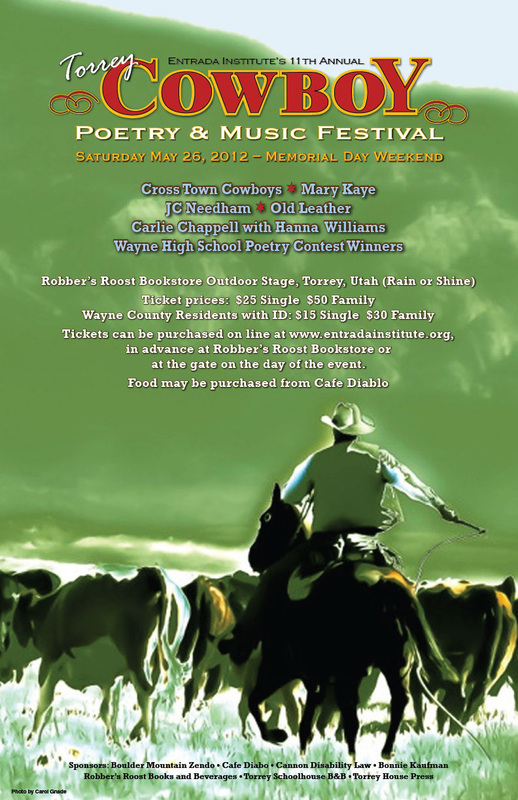 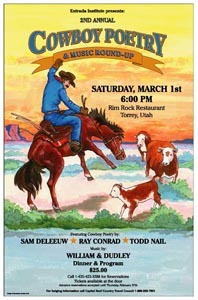 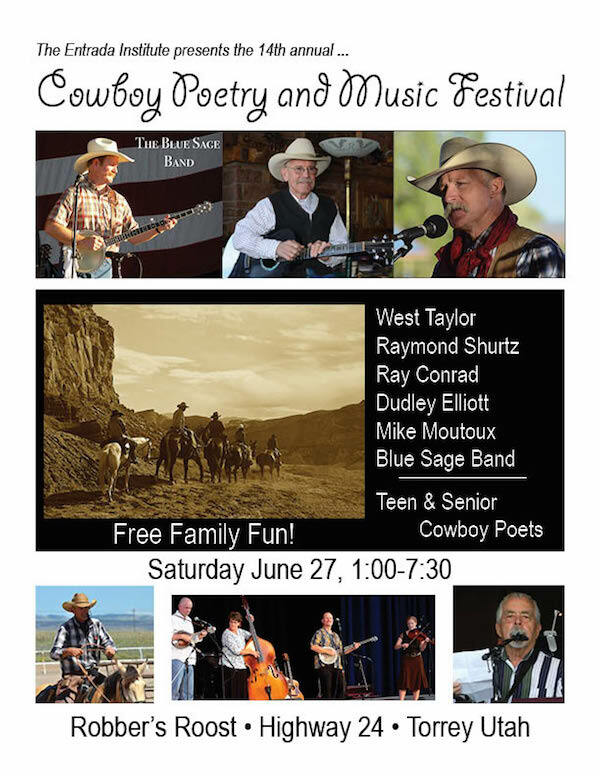 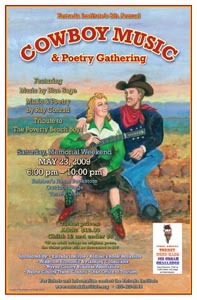 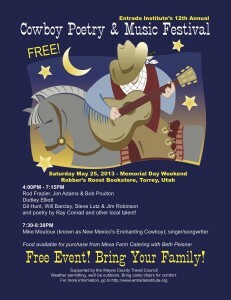 The Cowboy Poetry and Music Festival in Torrey, Utah is a FREE festival with a horsemanship demonstration, local cowboy poetry, and music performers. 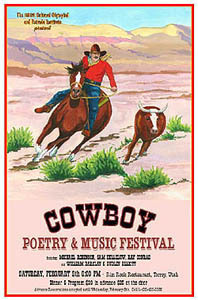 For up-to-date information, check the Festival Website and LIKE the Facebook page. 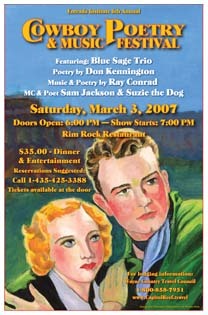 Click the poster on the right for a full-view.